stainless steel backsplash There are 3 products. 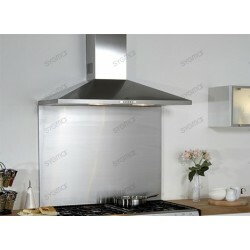 Splashback kitchen stainless steel, bottom of Hood in stainless steel. Tiles-Mosaic offers a range of products specially adapted for your splashback of kitchen.You will find plates in stainless steel for kitchen sideboards or bottom of Hood. Delivery in colissimo:France: 48-72 hoursEurope: 4-5 days.Other countries on request.